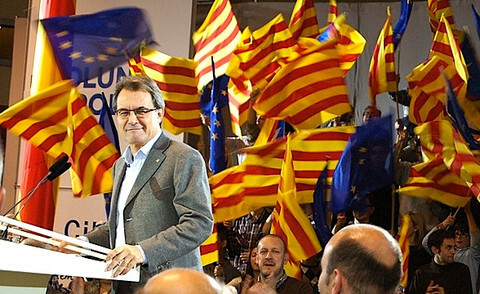 Former Catalan leader Artur Mas was banned on Monday (13 March) from holding public office for two years and fined €36,500 after the Supreme Court of Catalonia found him guilty of disobeying the Spanish Constitutional Court by holding a non-binding referendum on independence in Catalonia in 2014. Two of his former ministers, Joana Ortega and Irene Rigau, were also found guilty and banned for 21 and 18 months, as well as fined €30,000 and €24,000, respectively. The three separatist leaders avoided a nine to 10-year ban from public office because they were not found guilty of prevarication. They said they would appeal to the Spanish Supreme Court, and, if necessary, go to the European Court of Human Rights in Strasbourg. “This will not end in Spain. This will end up in Strasbourg - in the heart of Europe,” Mas told a press conference after the verdict. 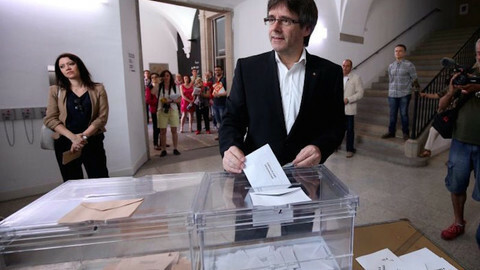 He spoke at the headquarters of his Catalan European Democratic Party in Barcelona in front of a sign showing a ballot box and the words "I would do it again!". Later on Monday, Mas said in a TV interview that there was "a clear political intention" behind the court's verdict. He pointed out that his sentence over a consultative independence referendum came on the same day as Scottish leader Nicola Sturgeon announced she would call a second referendum on independence. "The UK won’t take the Scots to court,” Mas noted. Scotland organised a first independence referendum in 2014, a few weeks before the consultation in Catalonia for which Mas was sentenced. Many Catalans have called for a legally-binding, Scottish-type referendum, that would be authorised by the central state and would see the Yes and No sides hold debates. 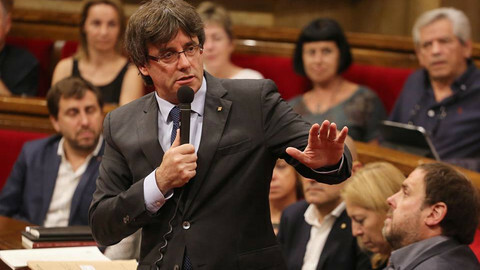 "The sentence of this penal process condemns democratically elected representatives that only tried to listen to the citizens wills and let them express themselves," Catalonia's current leader Carles Puigdemont said in a statement. 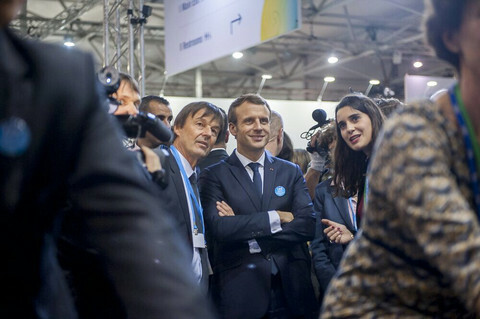 "It encourages us to continue looking for a reply on ballot box, while the other part of the dispute is not ready for dialogue or actions. It persists on filing complaints, going to court and having guilty sentences." Spanish prime minister Mariano Rajoy did not comment on the verdict. A spokesman for his conservative Popular Party said that the decision showed that “no one is above the law” and said that the central government would make sure that Catalonia abides by the law. Rajoy and a majority of national political leaders have said that a regional referendum in Catalonia would be unconstitutional. Mas was Catalonia's president from 2010 to 2016, a period in which support for the region's independence spiked after Spain’s Constitutional Court watered down a former agreement that gave Catalonia more autonomy. Rigau, Mas' former education minister, is the only one of the three sentenced separatists who still holds public office, as a member of the Catalan parliament. She is expected to step down once she receives formal notice from the court. Mas was widely expected to stand in the next Catalan elections, as Puigdemont has said he will step down this year. Puigdemont said on Monday that he would go ahead with his plan to carry out a legally binding referendum in early autumn this year, with or without Madrid's authorisation. It is still uncertain how that could be arranged, however. 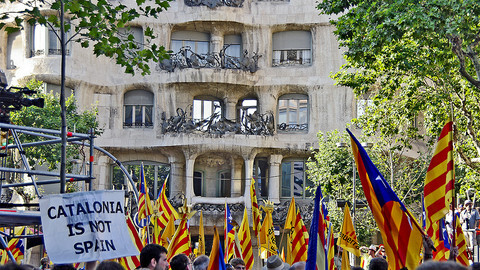 While most Catalans would like to have a referendum, the region is divided over independence. A recent survey by conducted by the Catalan public institute said that 44.9 percent wanted to split from Spain, while 45.1 percent did not. At the 2014 consultative poll, 80 percent voted Yes to independence but just over a third of eligible voters turned up to cast their ballot. Mas, Ortega, and Rigau have five days to appeal their sentence at the Spanish supreme court. That court is also expected to give a verdict shortly on the former spokesperson of the Catalan government, Frances Homs, over his involvement in the symbolic 2014 referendum. Homs is being judged in Madrid as he is now a member of the Spanish parliament. The current speaker of the Catalan parliament, Carme Forcadell also faces charges over contempt of court and neglect of duty because she allowed a vote on secession in the Catalan parliament last year. Catalan president said in Brussels that he will organise an independence referendum before September and that "Europe cannot look the other way". Lawmakers in Catalonia voted to set up a referendum for independence, next September, in defiance of Madrid and a recent constitutional court ruling. 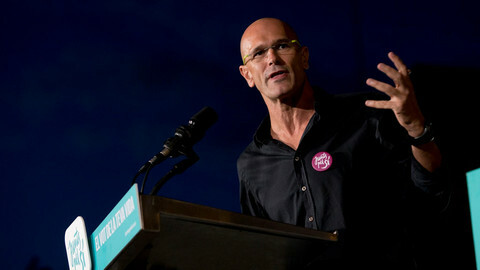 The new Catalan government wants independence from Spain, but it also wants to convince Europe it can be "an asset, not a problem", says its foreign minister Raul Romeva. 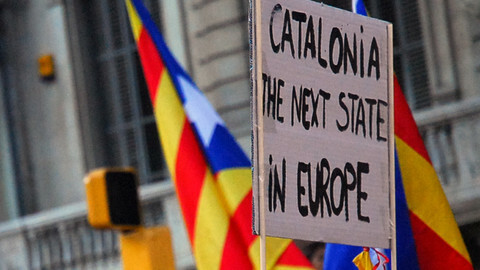 Europe is going through an unstable time, which may benefit Catalan's independence claims. However, breaking away now might leave the region and its government without a viable alternative. 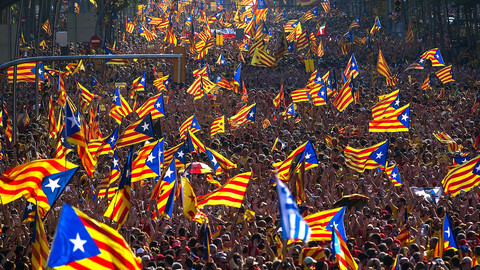 Catalans will be asked on 1 October: "Do you want Catalonia to become an independent state in the form of a Republic?" But separating from Spain might not be so easy. A referendum will be held on 1 October, despite Spanish opposition, and if independence wins, the EU will have to accept it, Carles Puigdemont has said.